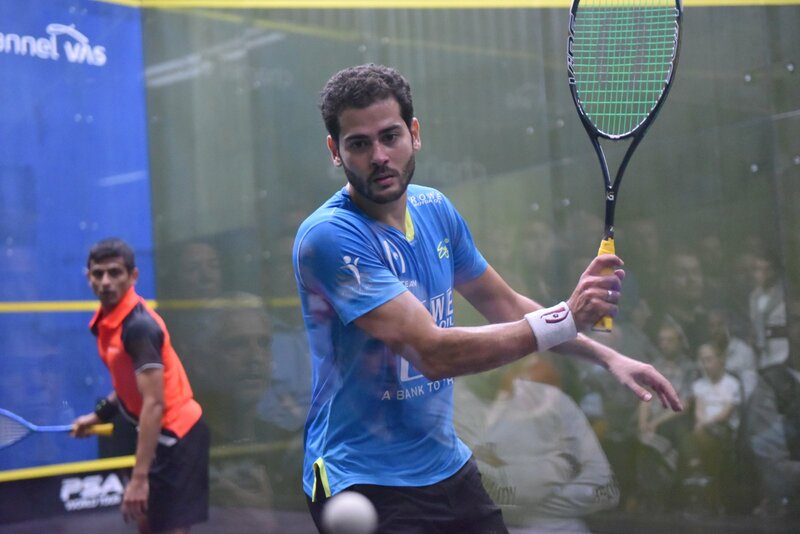 A trio of Egyptian players will line up in the semi-finals of the Channel VAS Championships at St George’s Hill as Ali Farag, Karim Abdel Gawad and Tarek Momen all claimed victories on day four of the PSA World Tour Gold event held in Weybridge. World No.2 Farag booked his place in the semi-finals here for a second year running after he ended the run of home favourite Tom Richards. Richards was backed to the hilt by a partisan crowd at St George’s Hill Lawn Tennis Club, but Farag had too much for the Englishman today as he closed out an 11-6, 11-7, 11-8 win to reach the last four. Farag will go up against former World Champion Karim Abdel Gawad in the semi-finals after Gawad put in a sensational performance to down World No.11 Saurav Ghosal 3-0. “Karim and I grew up playing in the same age group and we’ve played around 40 or 50 times, plus the hundreds of times we’ve played during practice,” said Farag. “We know each other’s games quite well. It’s always fair and clean when you play with Gawad. It’s always fun when you go on court and someone is going to play their heart out, but at the same time they’re going to be very fair and clean. 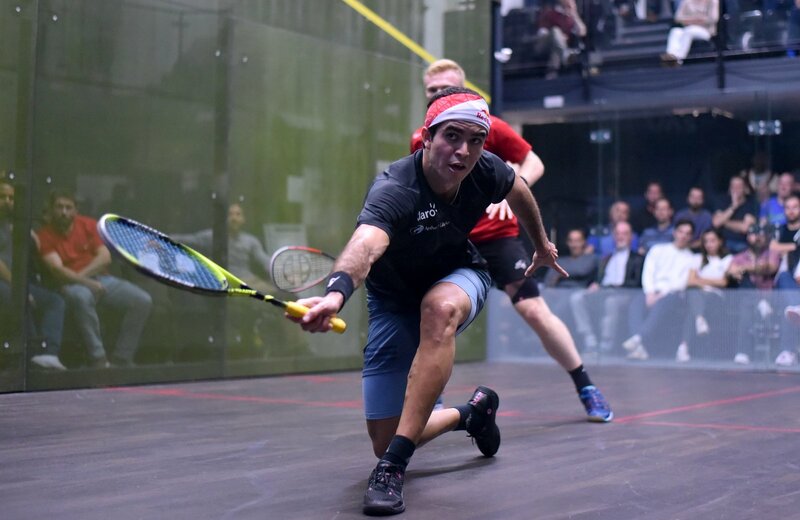 A loss of form from Gawad over the past 18 months has seen the former World No.1 tumble down the World Rankings, but his display against Ghosal today evoked memories of the form he displayed in the early part of 2017 as he hit a feast of winners en route to an 11-6, 11-7, 11-8 victory. 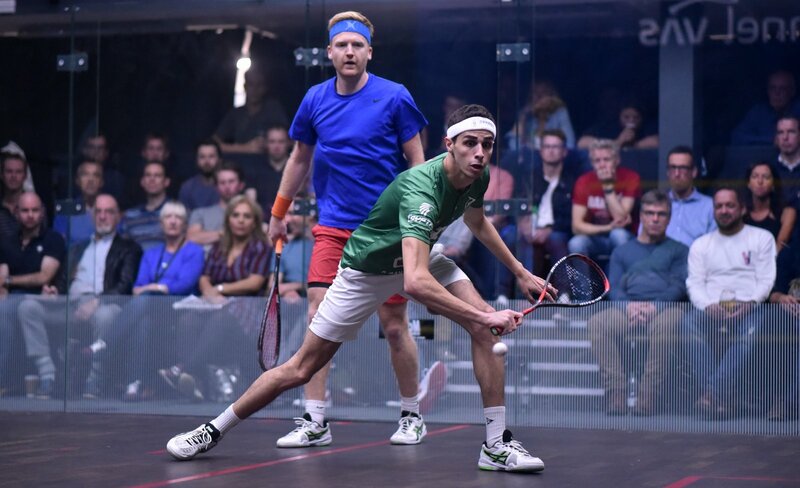 Egypt’s World No.3 Tarek Momen avenged his defeat in the 2016 final to World No.8 Paul Coll, with a sublime display seeing the 30-year-old triumph in straight games. Coll’s momentous victory over the Egyptian here two years ago was one of the key reasons behind his eventual ascent into the top 10, and he also overcame Momen in a brutal 96-minute clash at the U.S. Open last week. But Momen was irrepressible today as he controlled his shots to perfection and proved very difficult for Coll to read. “I used the same game plan that I put together for the U.S. Open, it just worked a little bit better this time,” Momen said afterwards. Peru’s Diego Elias was the only non-Egyptian to win on day four as he ended the run of giant-killer Joel Makin to set up a semi-final match against Momen. Makin caused arguably the biggest upset in this tournament’s history when he ended World No.1 Mohamed ElShorbagy’s title defence in the previous round, and he tested Elias today as he took the opening game. “I knew it was going to be really tough. 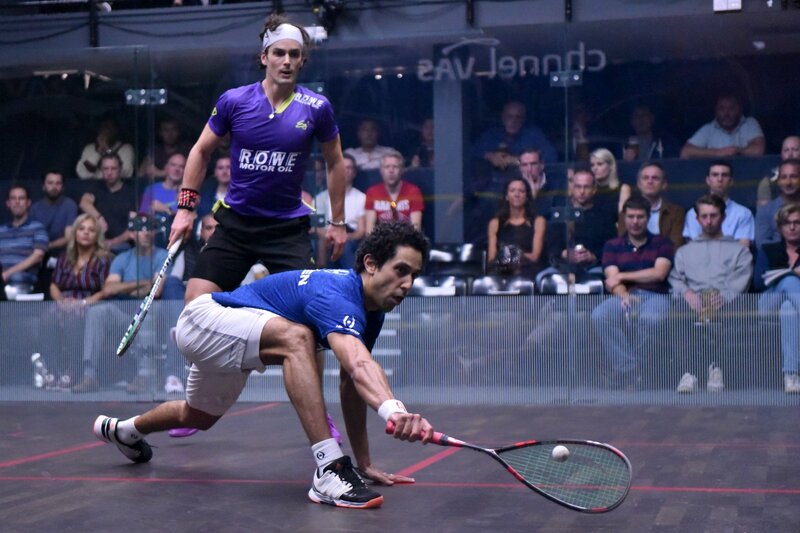 He beat ElShorbagy, the World No.1, so I knew he was playing really well,” said Elias. The semi-finals of the Channel VAS Championships begin at 15:30 (BST) on Saturday October 20 and the action will be broadcast live on SQUASHTV (Rest of World) and Eurosport Player (Europe only). Men’s 2018 Channel VAS Championships at St George’s Hill, Weybridge, Surrey, England.